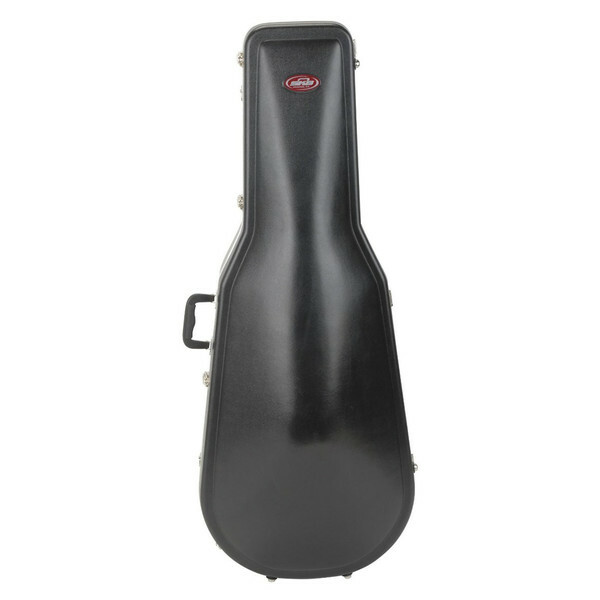 The SKB Cello 4/4 Deluxe Padded Case is a highly-durable hardshell case designed to accommodate a 4/4 size cello. The case itself is constructed from heavy-duty polyethylene for maximum strength and protection, defending against impact damange, corrosion and more. The interior of the case features a EPS plush lining with Hook and Loop Fasterner straps that hold bows securely in their designated compartments. This eliminates the needs for snaps and other hardware that may damage your cello's top. Additionally the case features a moulded pocket cover that supports the neck and stops the scroll from hitting.